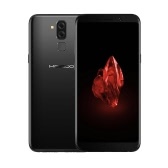 Qualcomm® Snapdragon™ 653 MSM8976SG 12.0MP+12.0MP Dual Rear 16.0MP Front Camera 6000mAh Battery NFC Quick Charging -- Note: This item can not be shipped to Mexico. 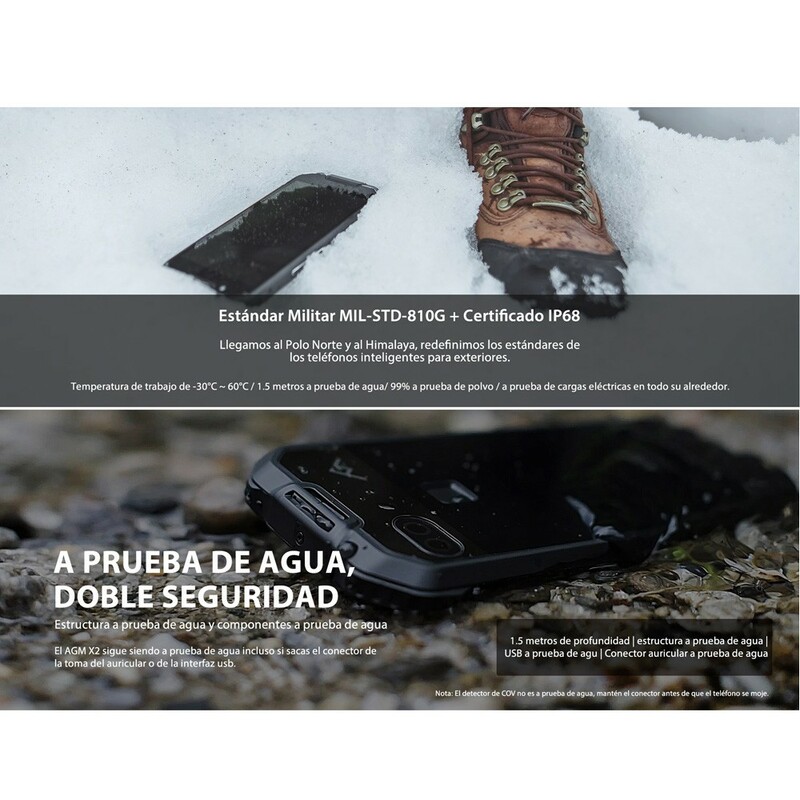 As a waterproof device, AGM X2 Tri-proof Smartphone adopts the highest IP68 waterproof standard. And it features a 5.5inch AMOLED FHD Screen 1920*1080pixel Screen Display, assures clear visuals of contents and menu. 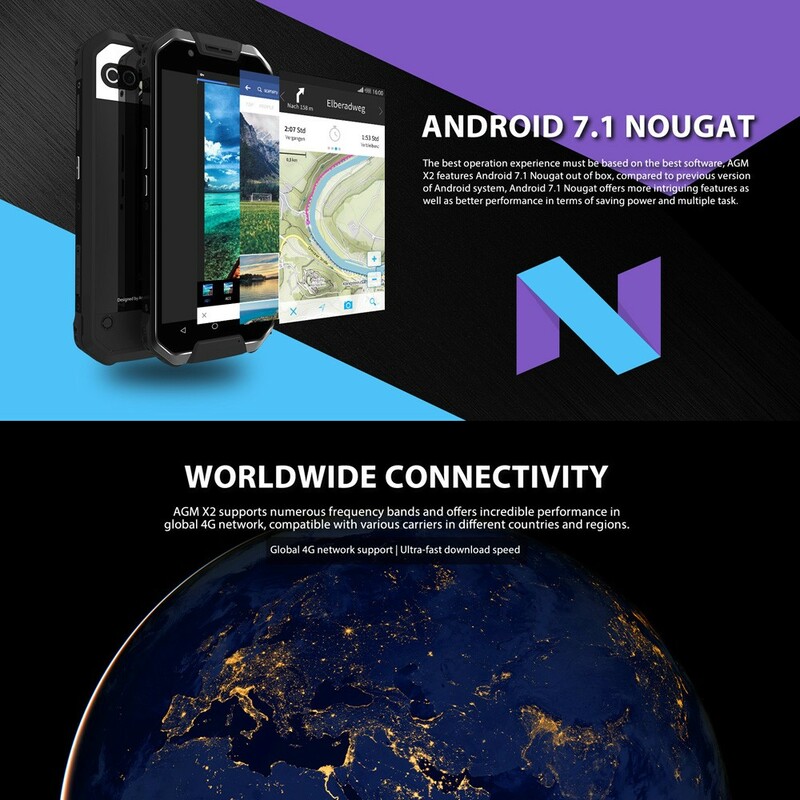 It runs on the Latest Android 7.1 operating system and powered by Qualcomm® Snapdragon™ MSM8976SG CPU, this smartphone provides a smooth performance. 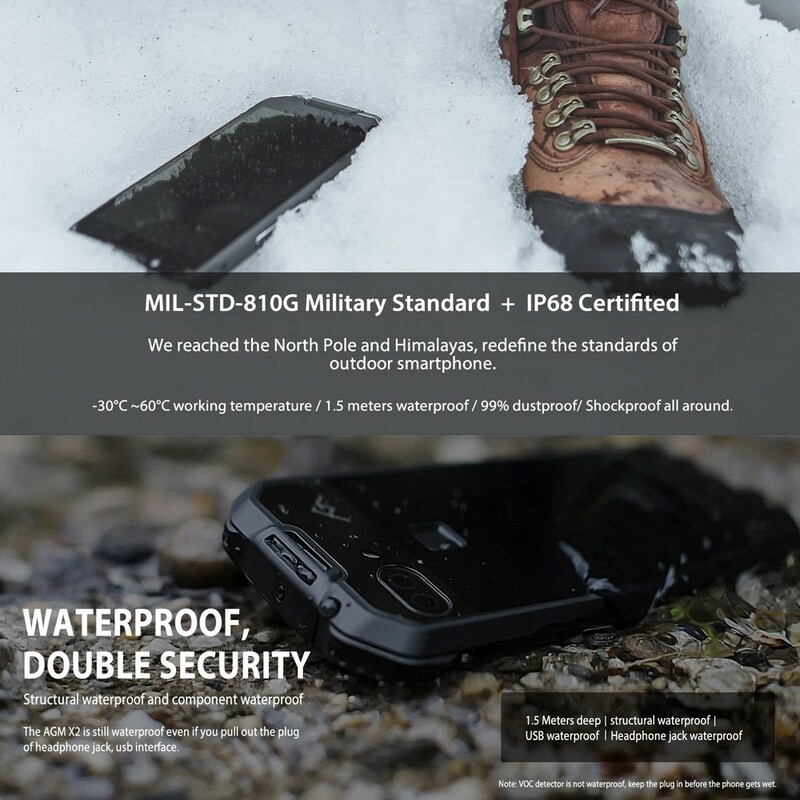 IP68 High Level Waterproofing and Dustproof Rating--AGM X2 to give you the most security protection, let your phone is no longer bound by a variety of harsh environment. This time give you more freedom. 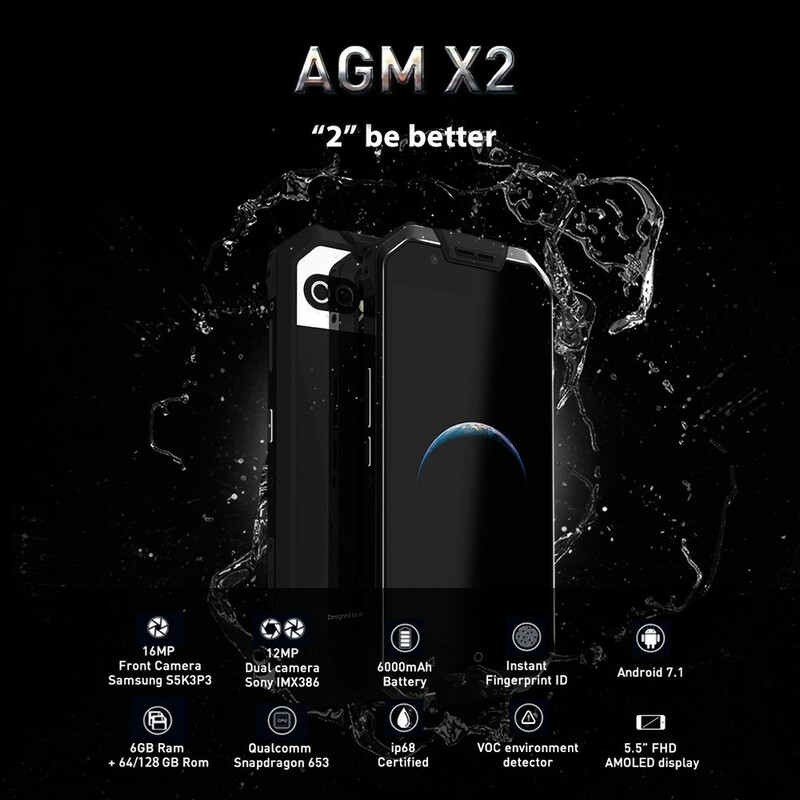 High-quality materials and mature processing--based on carefully-selected imported material and the strict machining, AGM X2 promises you the most reliable quality. Farewell to the phone's peeling and enjoy its service life much longer. 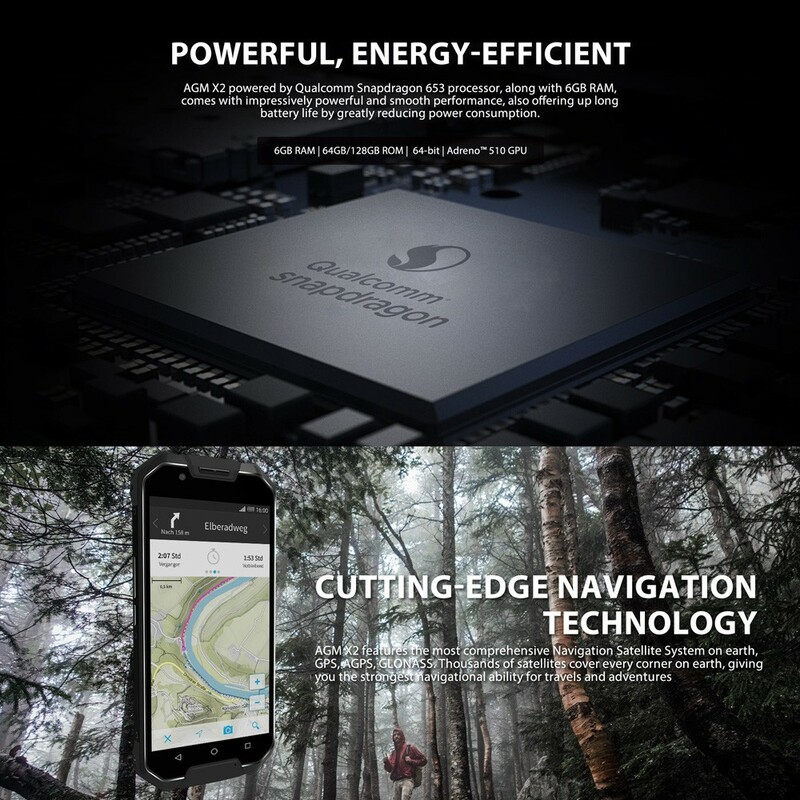 Fast and Power-efficient Processor--Running on a fast and stable Qualcomm® Snapdragon™ MSM8976SG CPU processor, AGM X2 is able to load and handle more data and App every time without lags. It is fast and smooth. Be Larger, Enjoy More--Paired with 6GB RAM and 64GB ROM, AGM X2 has not only an enough running space to deal with multiple tasks, but also a big inner storage. Further, with expandable memory of 128GB, you can feel free to carry more games, films and songs with AGM X2. 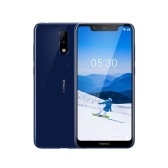 12.0MP + 12.0MP Dual Rear and 16.0MP Front Camera, Catches Every Beautiful Moment--Equipped with superb 12.0MP + 12.0MP Dual Rear and 16.0MP Front Camera, more lights can be effectively absorbed to shoot bright and sharp photos and videos, making it more natural and colorful. 5.5inch AMOLED FHD Display, Pleases Both Your Eyes and Hands--Suitable screen size means a nice feeling for one hand holding. 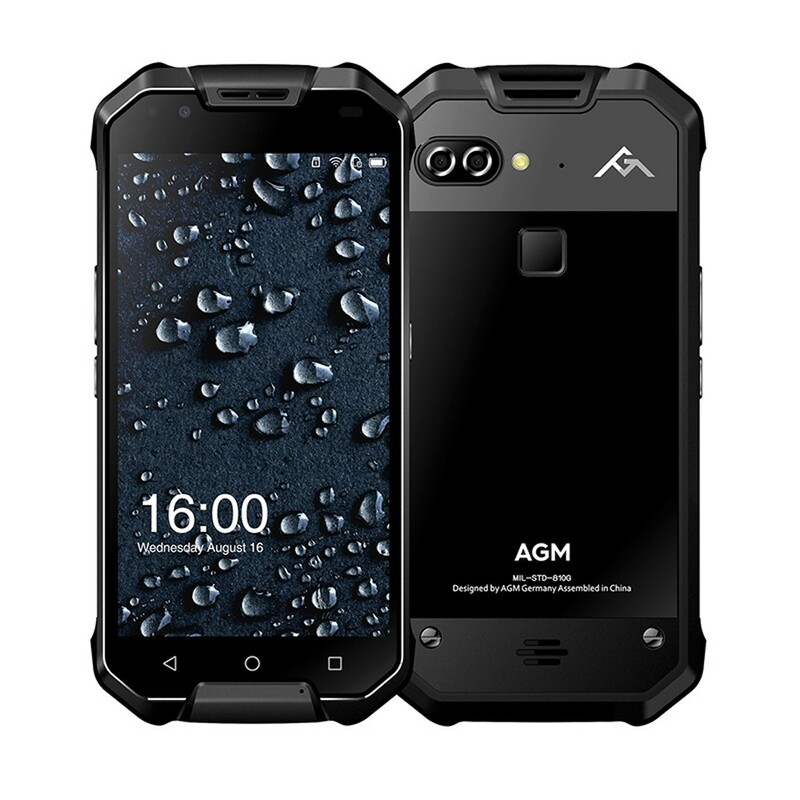 AGM X2 features 5.5" FHD touch screen, so you can easily hold or play with it with only one hand if you like. High definition screen delivers high color saturation to maintain vivid, sharp and vibrant images. 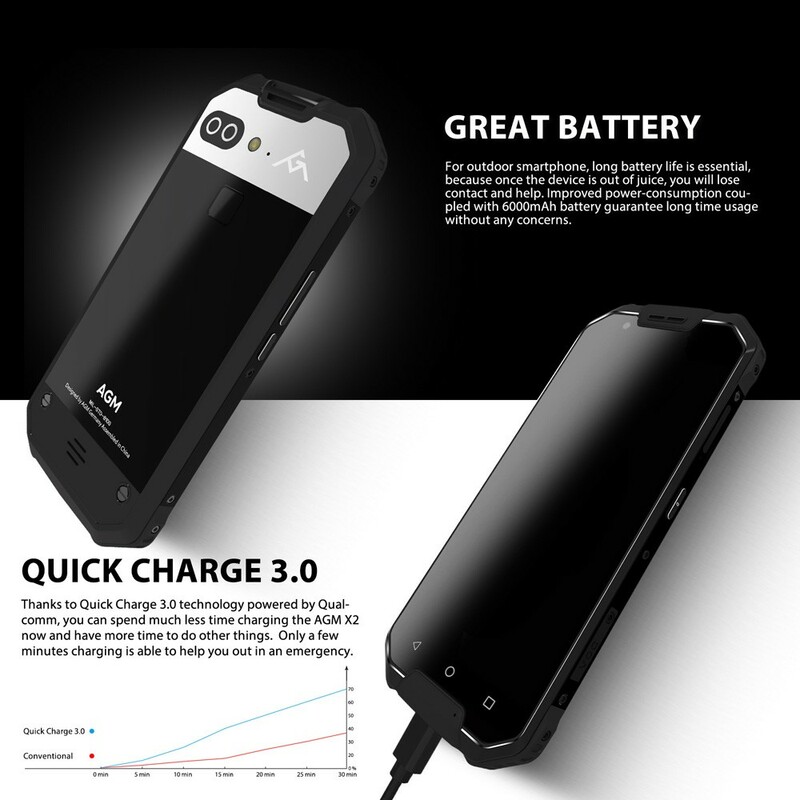 In Power at Anytime and Anywhere--AGM X2 has a built-in 6000mAh big li-poly battery. 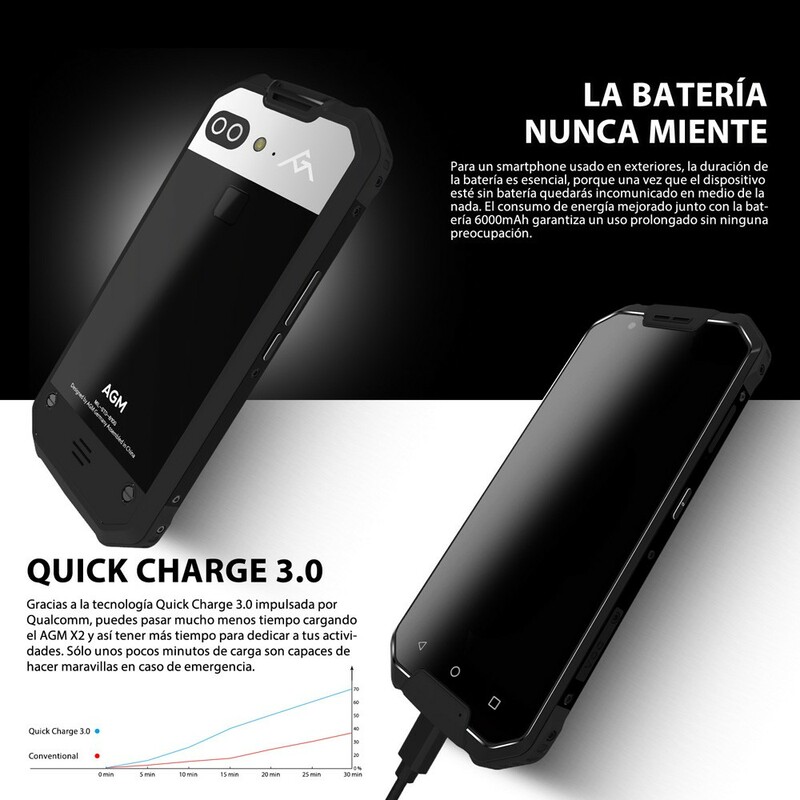 As a large battery smartphone, AGM X2 has got enough power for several days use. It supports OTG function for reverse charge multi devices. If your friend needs power urgently, just help her. 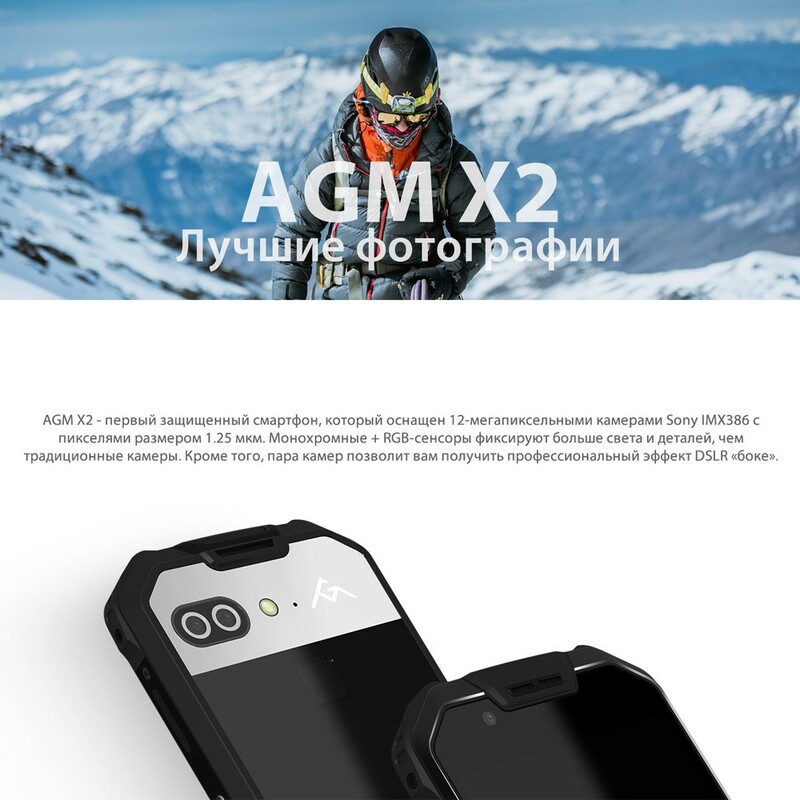 4G Network, Dual SIM Dual Standby--AGM X2 supports 4G network, providing 3 times faster download speed the 3G network, and thus making it easier and more free for you to surf, chat and share online. 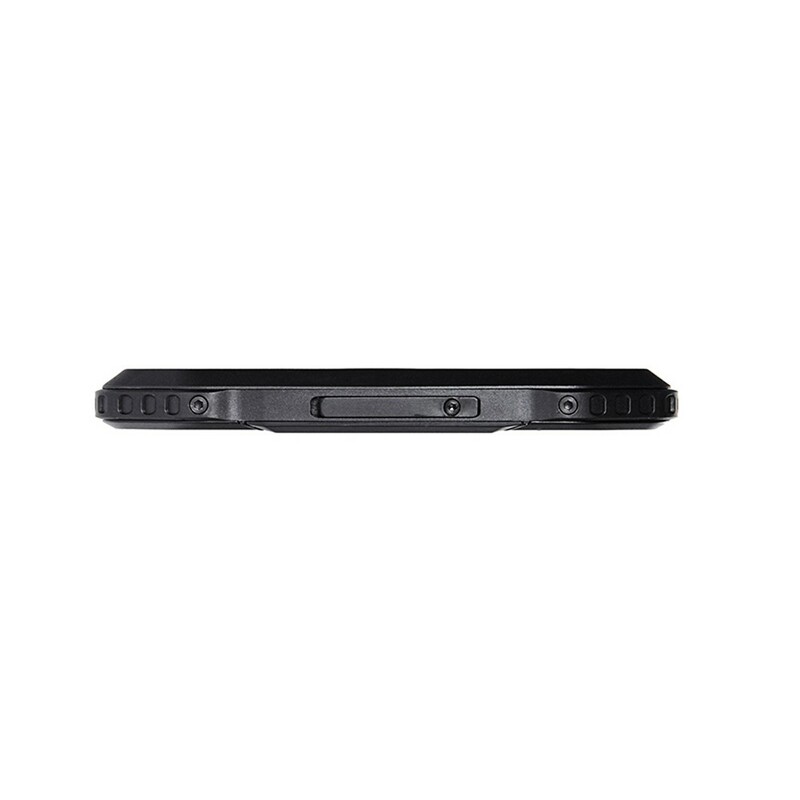 Besides, it support dual SIM dual standby, offering you a convenient shift between life and work. Fingerprint Sensor Unlock the Phone in 0.1s--The AGM X2 put the fingerprint sensor at the back of the phone. Gently put your finger on it and unlock the phone. When the screen is not wake up, the unlock speed is less than 0.1s. 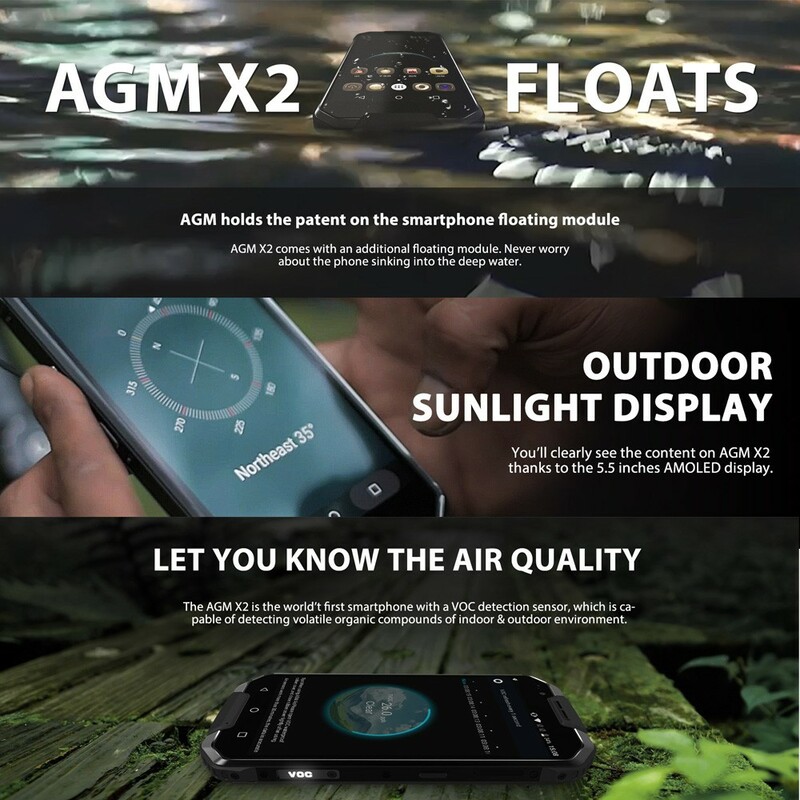 The latest Android 7.1 OS--The AGM X2 is using Android 7.1, to deliver the original 7.1 experience and much more new functions. 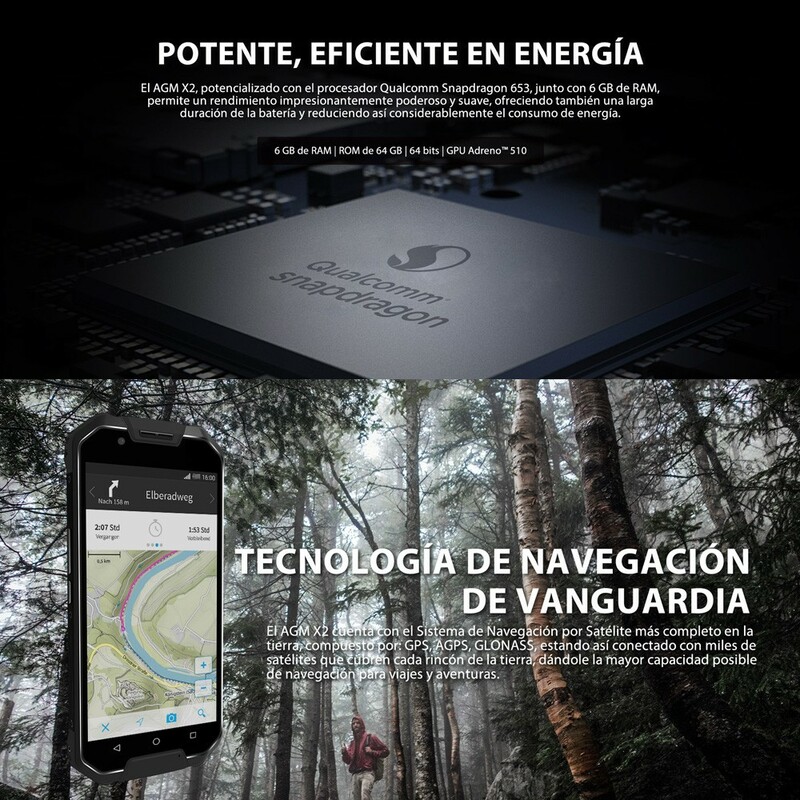 GPS + GLONASS Dual Navigation System--The AGM X2 supports GLONASS + GPS dual navigation system, positioning faster and more accurate. 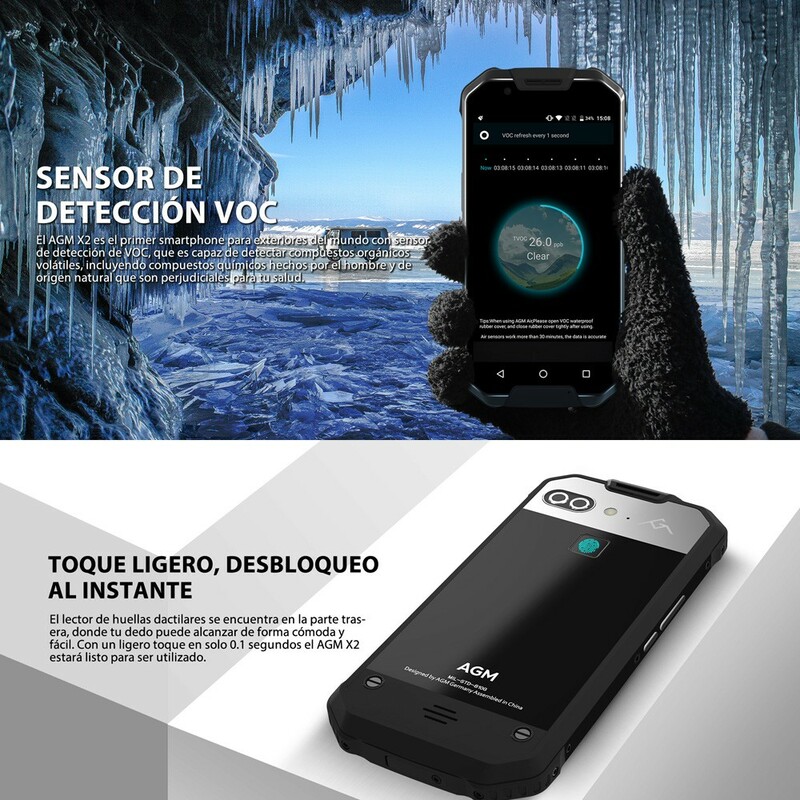 Other Functions--VOC detection, Environment Sensor, Waterproof USB Type-C, Waterproof earphone jack, Qualcomm® Quick Charge™ 3.0, Qualcomm Security Center, etc. Q Hi, I am a liitle confused about the specs. According to the AGM website there are only two versions of X2. 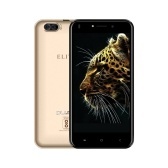 SE with 64GB storage and less sensors (meaning without e.g. VOC) and the normal version with 128GB and all sensors. 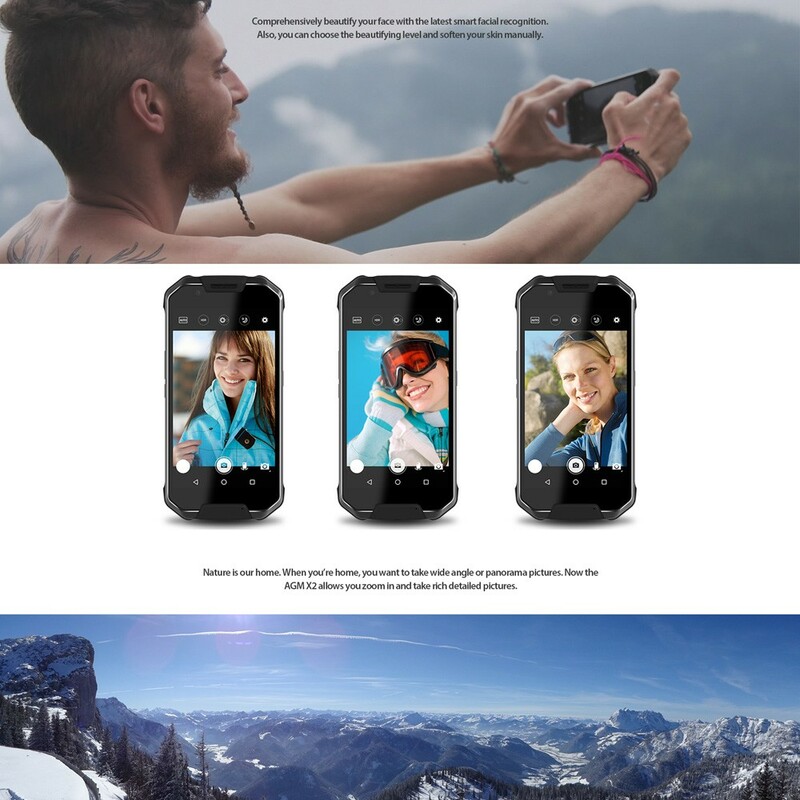 This seems to be something in between, with less storage, all sensors but also missing the floating case. Is that right? 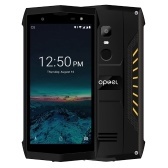 Q I thought this phone was going to be released sept. do you have current stock? A Yes, we have enough inventory for this product. 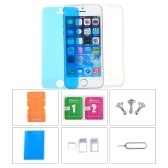 You can rest assured that we will quickly arrange delivery for you. 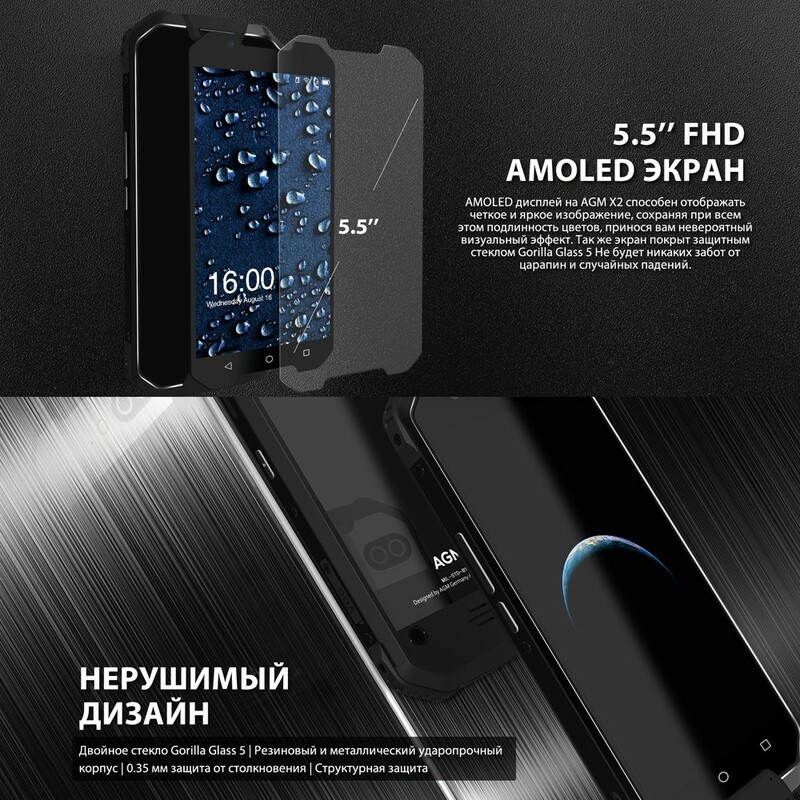 Q Good night seller Does this phone work in Brazil? 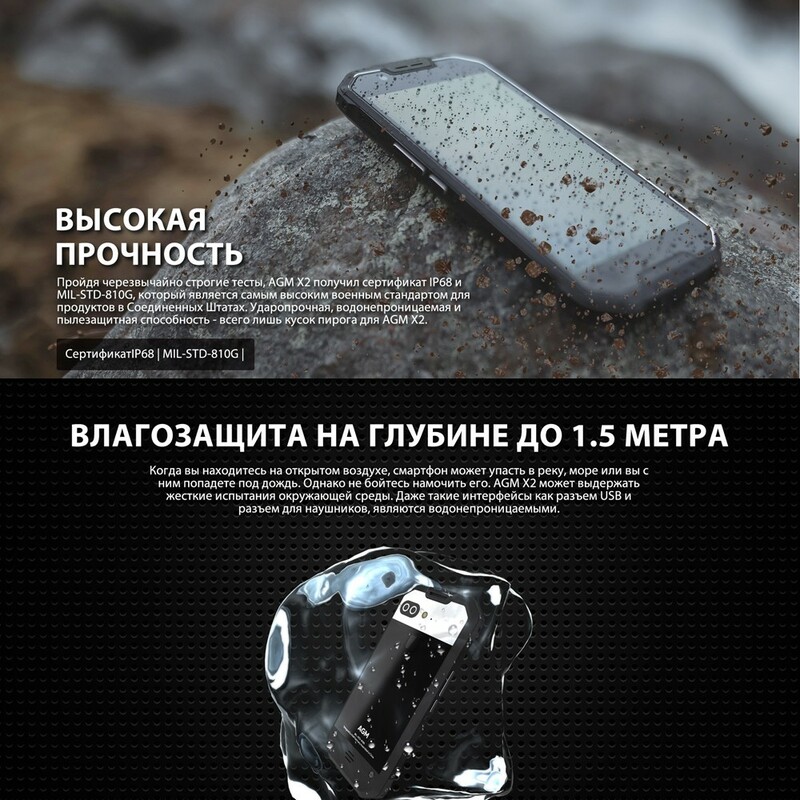 Fast shipping (to Bulgaria), great seller! Everything is and was above my expectations. Highly recommend this and Tomtop. Living in Canada this has opened more options.